I drove out to Harmony in Hooves in Salem, Arkansas, which is barely a ten minute drive. My daughter was quick to point out all the horses that were out in the fields around us. I took her into the stables where the owner was grooming a horse named, Peaches. My daughter was anxiously leaning out toward the horse, and the owner and my daughter’s therapist agreed to let her pet the horse. After several hand strokes on the horses neck my daughter leaned in and gave the horse a kiss and smiled. The owner then gave the brush to my daughter to see if she would like to brush the horse. Of course she did. My daughter found this an interesting thing to do. I had to show her just how it was done and she continued for a few minutes without my help. We then walked into a stall next to Peaches and found a shorter horse named Lucky. the therapist’s daughter was grooming him for another rider that will be arriving later. My daughter kept pulling toward the horse, wanting eagerly to ride. I finally asked if it was okay if she sat on Lucky while they were putting the bridle on, to which they agreed would be fine. My daughter’s face lit up as soon as I put her on Lucky’s back. A few minutes later we put a helmet on my daughter’s head and let her ride Lucky around, though Lucky was being lead by the therapist’s daughter and the therapist was standing close by should she need to assist my daughter in anything or grab her should the horse decide to take off or buck. My daughter’s a little squirmy or hyper by nature (hyperkinesis), but as soon as she was sitting on the horse she was calm and still. I could tell she was having a good time and greeted me each time she passed me by. 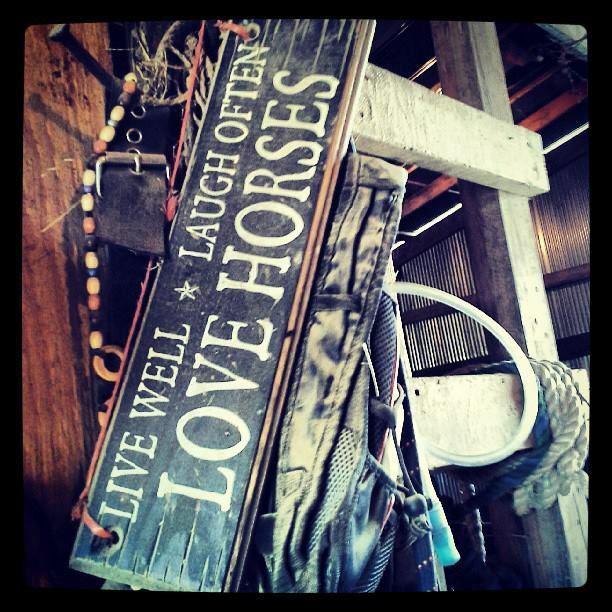 Horseback riding will help her with her sensory input, giving her a calm and relaxing feeling that she seeks. It’ll also give her some security being close to an animal as she usually shies away from most animals. Since riding the other day she took to petting a close friend’s dog whereas she would shy away from him. She even courageously picked up a cat and carried it three feet before placing him down on the ground. She even petted another cat, then leaned in and gave him a kiss. 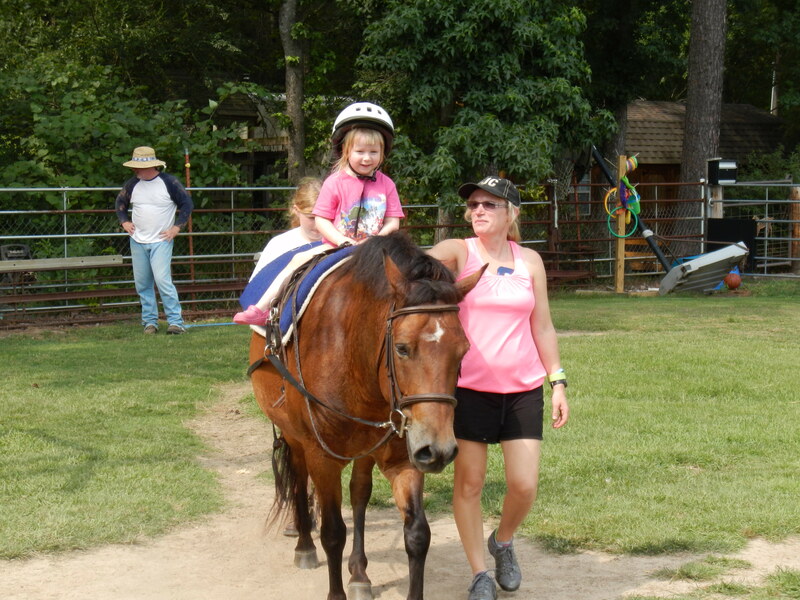 Riding will also help with her coordination and balance, speech, attentional skills, and most of all sensory integration. 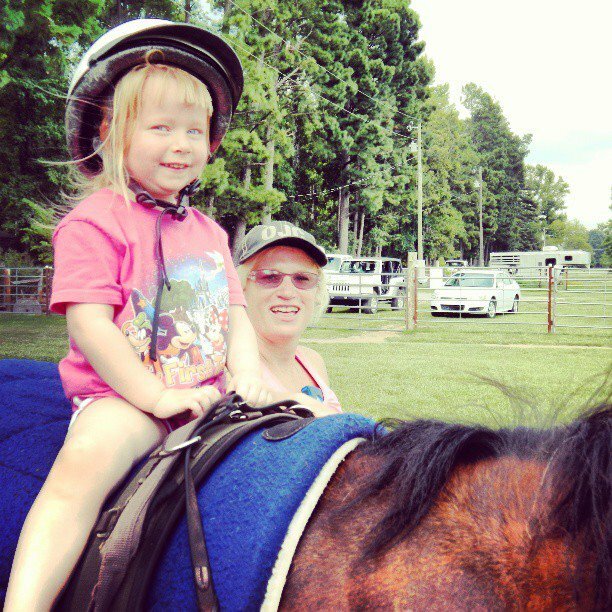 I’m thoroughly excited to see that she enjoys riding, as I myself am a horse enthusiast. I’m looking forward to taking her back later this week. This entry was posted in Blog and tagged Autism, autistic children, children, children with special needs, equine therapy, hippo therapy, hippotherapy, horse enthusiast, horsemanship, horses, kids, my daughter, parents, Sensory integration, single mom, single parents on August 5, 2013 by JenniferNAdams.